Construction work is one of the most dangerous – and often deadly – occupations in the world. Every year, thousands of U.S. workers suffer serious and sometimes deadly injuries. The typical construction site is full of known and unknown hazards, including loose debris, toxic chemicals, heavy machinery, and power tools. 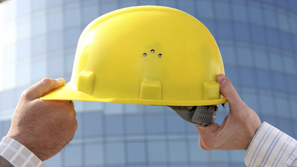 Because of these serious risks, contractors must implement construction safety training measures. Federal OSHA regulations are designed to make sure that worksite safety programs and procedures are in place. When serious construction site injuries occur, investigators often find violations of OSHA rules that would have prevented the accident. The legal team at The Law Offices of Frank L. Branson has decades of experience representing individuals who have suffered serious injuries caused by construction site accidents. Our team has the legal expertise, professional background and expert resources to properly investigate workplace injuries. When lax safety training plays a role in a construction site accident, our construction site lawyers can build a powerful case and hold responsible parties accountable. To learn more about our experience in safty training matters, we invite you to contact the firm here.